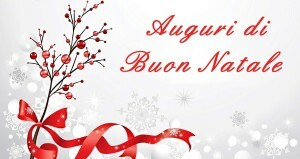 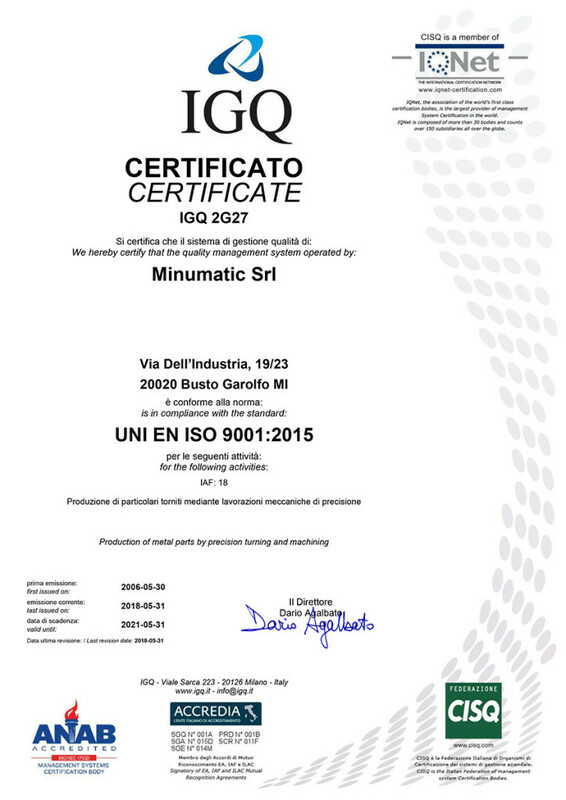 The strong point of the high-quality product supplied by Minumatic Srl must be sought for in the quality and the frequency of inspections performed during the entire manufacturing process of the item. 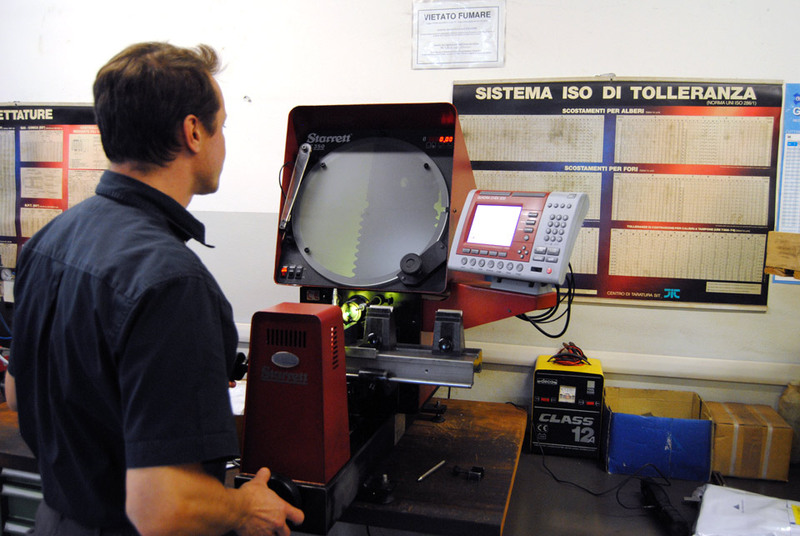 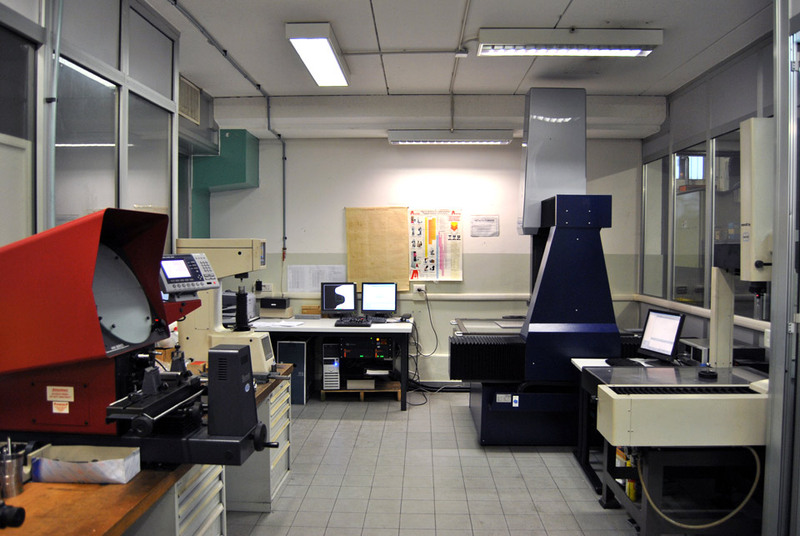 The product quality control activity during the process is supported by specialised personnel, who are characterised by thorough experience in the field, as well as by a cutting-edge metrology room equipped with innumerable measurement tools that work in air-conditioned premises. 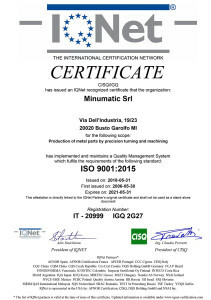 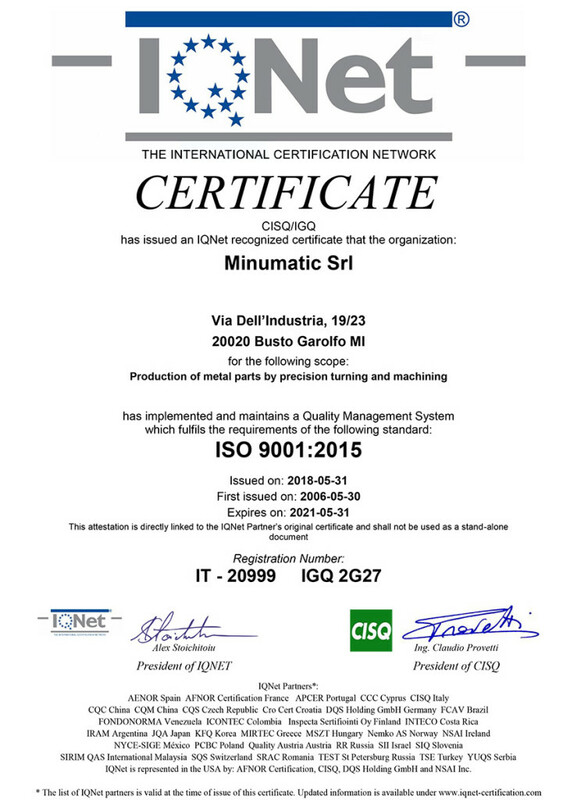 Our Company applied and keeps a Quality Management System that complies with the UNI EN ISO 9001:2008 standards. 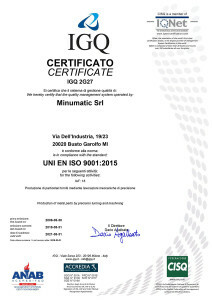 The Certificate was issued by IGQ..